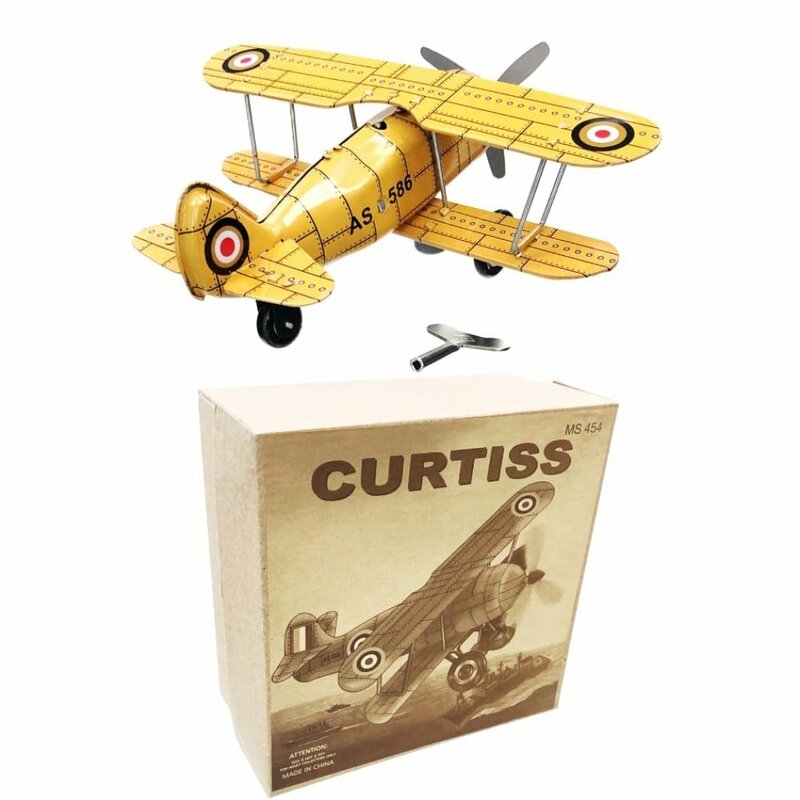 Our Yellow Curtis Biplane will spin its propeller and taxi for liftoff. 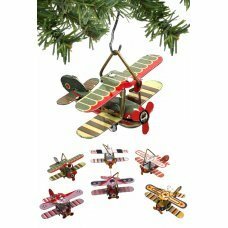 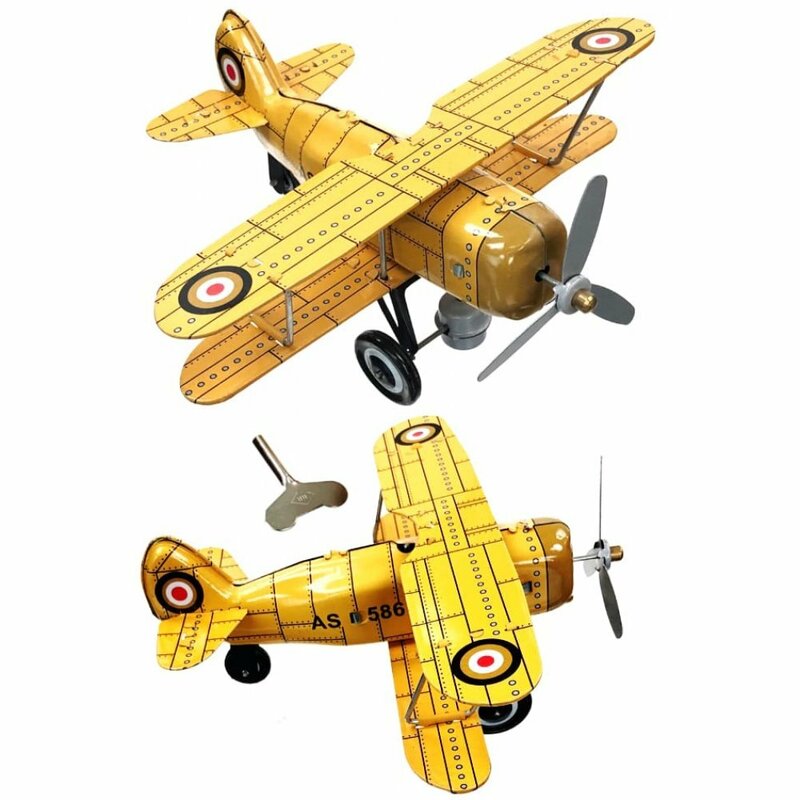 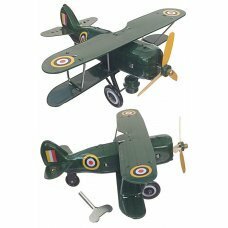 The all-tin Biplane is a nice reproduction of 1920's era American toy airplanes, based on the Jenny-series of planes by the Curtiss Aeroplane Company of Hammondsport, New York. 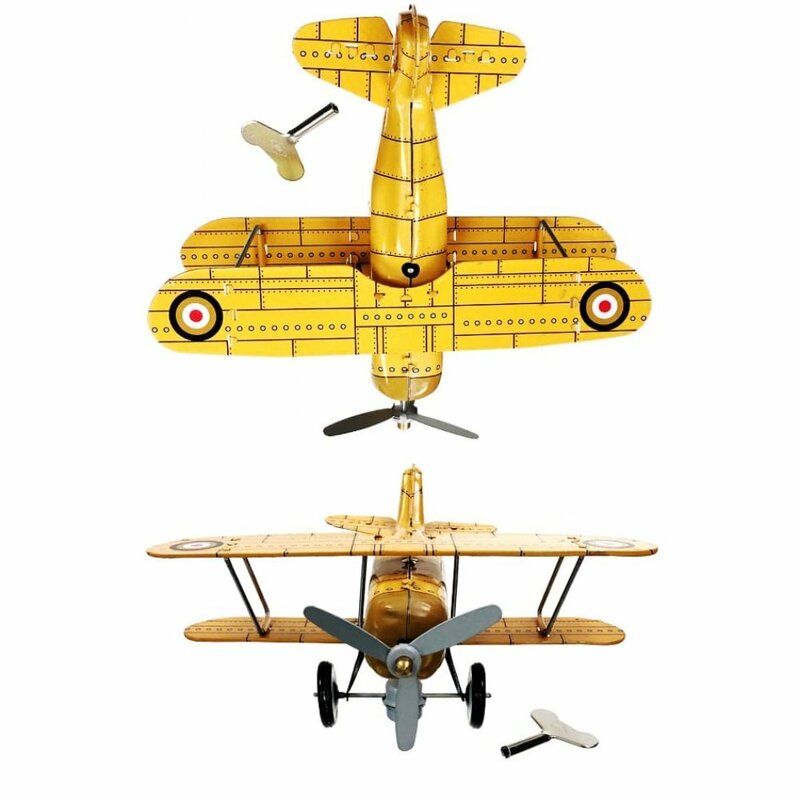 Place the key in the cockpit to wind up the biplane and activate the tin transmission. 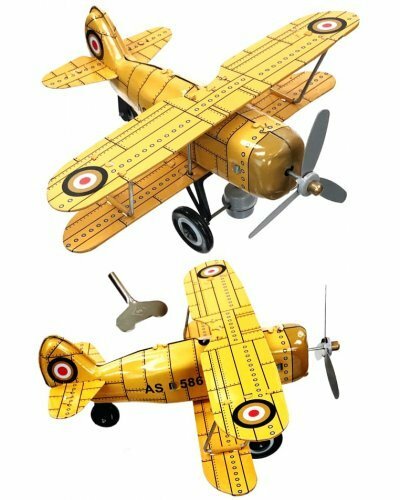 The plane is bright Yellow with red, white, yellow, and blue details. 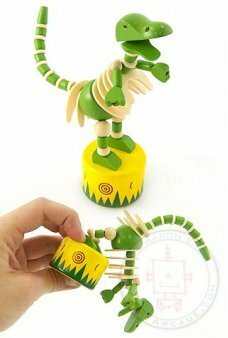 Dexter the Dinosaur wants to leave the museum and dance with you in the park. 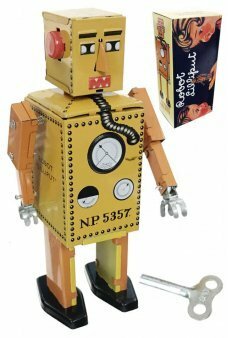 Just push his yellow r..